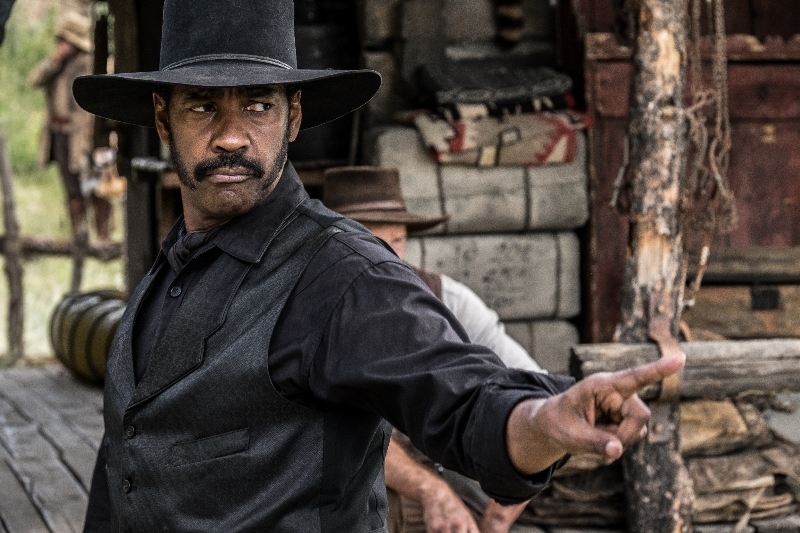 The Magnificent Seven Review - Star-Studded Cast Doesn't Hit Magnificent - Are You Screening? 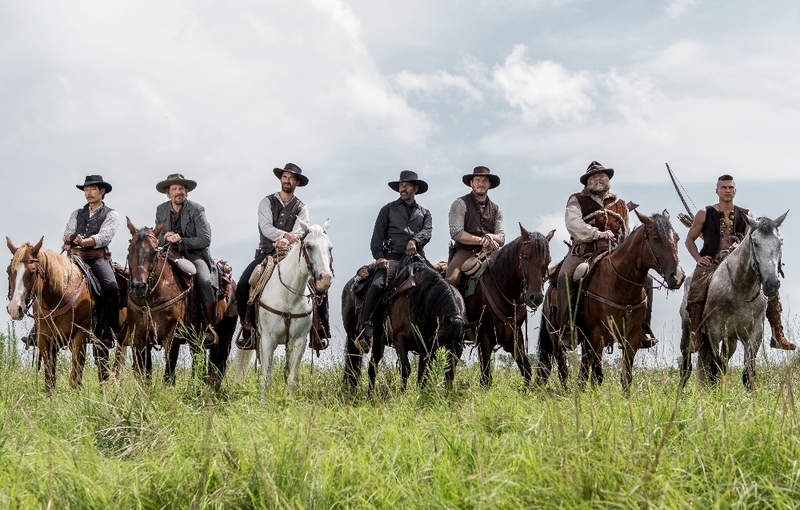 The Magnificent Seven is an ambitious project, and for more reasons than you’d probably like to take on. 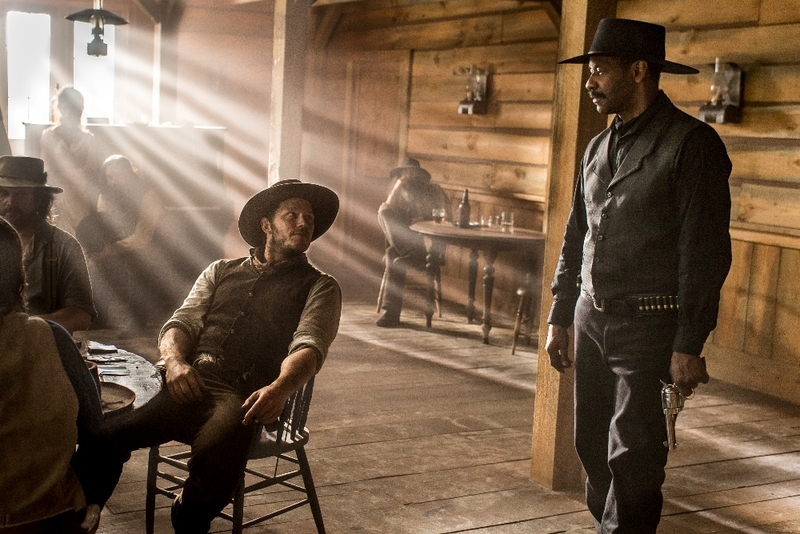 The original (American) is a beloved classic, it’s a film whose ending is as difficult to sell to audiences now as it was in 1960, and it’s a western. Worse, while the original was made with a serious attempt to capture the sensibilities behind the Kurosawa film, this one tries to update the overall premise, mostly by skipping the relationships with the townsfolk and character development, in favor of twirling mustaches and overblown “shticky” scenes. It’s rather lucky in that it has a gaggle of names to draw people in, but it’s still something of a slow burn, as opposed to an action enterprise, and it isn’t exactly a spoiler to say that most everyone dies. The film shifts a lot of attention on making our villain, Bartholomew Bogue (Peter Sarsgaard) an incarnation of corporate greed, and just a silly kind of evil, even to an extent that somewhat renders the plot of the film at odds with the character presented. He has no reason to keep the townsfolk alive, indeed he wants them to leave, and he’s just the sort of guy who would slaughter them all. He only leaves them alive because it says so in the script. 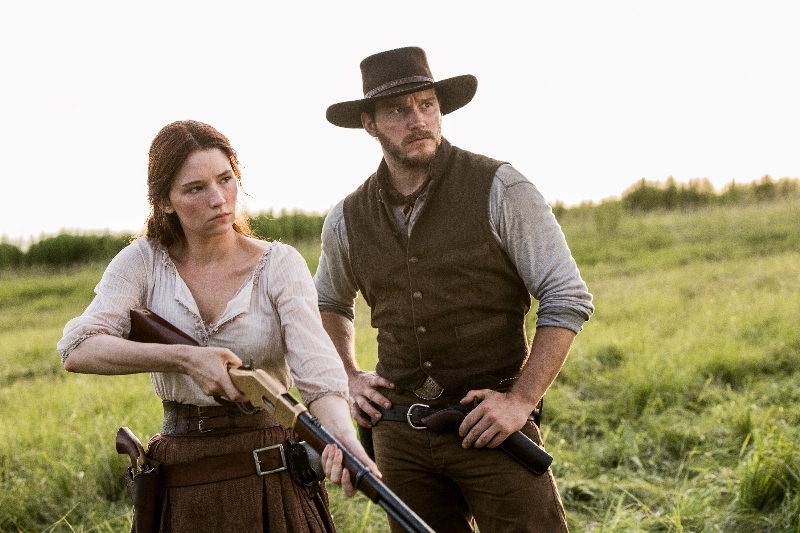 His actions set us in motion, as Emma Cullen (Haley Bennett – who also followed Director Antoine Fuqua and Denzel Washington from The Equalizer) heads to the nearest real town in search of help, guns, or whatever she can find. She finds duly-sworn agent Chisolm (Washington), who showed up to kill a fugitive, and convinces him to help her. 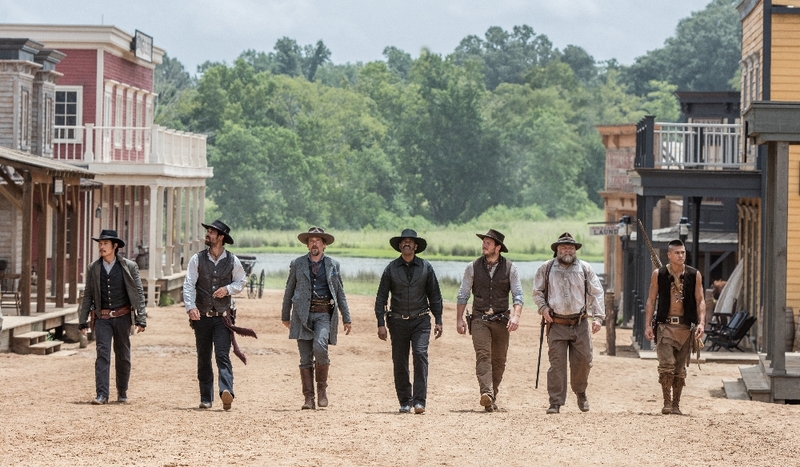 Much of the film then follows Chisolm’s search for a merry band willing to take on a nearly impossible task. ©2016 Metro-Goldwyn-Mayer Pictures Inc. and Columbia Pictures Industries, Inc. While we might have managed more time to develop the townspeople and/or the relationships with them, integral pieces of both previous films, we instead spend our time with flashy introductions that are ultimately corny at best. 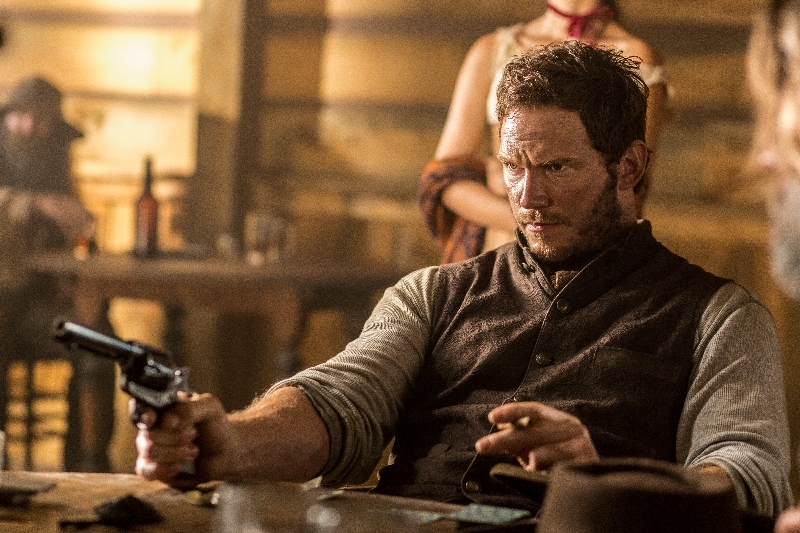 Josh Faraday (Chris Pratt), a gambler who is fantastic with a gun, spends five minutes outsmarting a couple of rubes in a scene that feels as much like a student film mocking westerns as anything we’re meant to be captivated by. 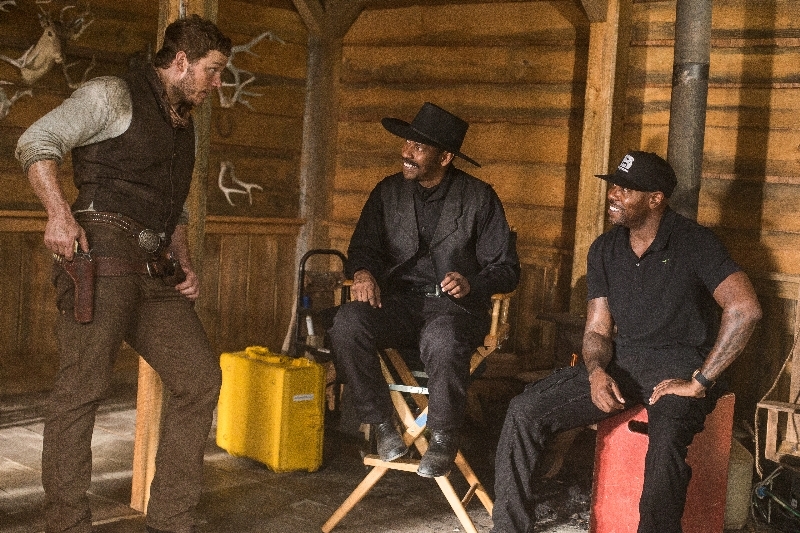 We catch up with Goodnight Robicheaux (Ethan Hawke) and Billy Rocks (Byung-Hun Lee) as they are involved in what becomes a silly demonstration of quickdraw skills. It may have a new spin, but the idea is boring and lazy. We also meet Jack Horne (Vincent D’Onofrio), the dim-witted bear of a man who is part homage to the “Grizzly Adams-es” of the era, and part clown-esque, comic-relief foil to the pragmatic anti-ethics of some of the other characters, and the setting in general. When we finally get to the point of preparing the town, almost none of its residents manage names, and the preparations are designed to create interesting-looking action scenes as opposed to actually defending the town. The film had a lot of pyrotechnic specialists on the payroll, but no strategists, which doesn’t matter really, because this is the kind of film where way more bad guys die than showed up, and you’re only tangentially invested in the town anyway. It’s possible to write off a lot of the films problems as this being just a bit of fun adventure, and the stars are talented enough to keep you watching, but it’s a film that’s all flash and no thought, even if it is pretty fun. It’s plot construction that will dig a ditch that never serves a real purpose, in comparison with what we may have done with that time anyway, but hopes you won’t remember that we have a bank full of gold and there are a lot of places in the wild west to start a new 10-building town. The reworking of the script is probably to blame with the film's problems, because the actors will pull you in, and it is admittedly otherwise rather beautiful and fun.